FLINT, Mich. – Every day is a challenge for those living in Flint. The city still doesn’t have safe drinking water and many question whether the water supply is even safe to bathe in. 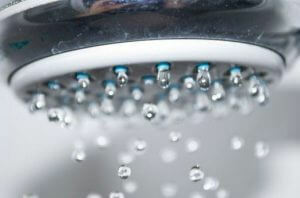 Although state officials and government scientists say the water is safe for bathing, hundreds of people have reported skin irritation, rashes and hair loss after showering in the lead-tainted water. The complaints are so persistent that researchers at the Centers for Disease Control and Prevention (CDC) are investigating. A lead poisoning attorney at Cellino & Barnes says most residents are convinced that showering in the water is harmful and some have taken extreme actions to bathe in cleaner water. 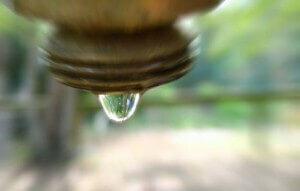 The most common technique is limiting the use of the public water. Residents say they’ll duck under the shower for just a few seconds or a few minutes – but many people are finding creative alternatives to avoid the lead-tainted water. Last month, some residents waited in line to get their hands on a device called “Pump-N-Spray.” The device uses a foot pump to spray clean water out of a large bottle. Some dermatologists investigating the cause of the skin irritation are lending their services for free. So far, they haven’t found anything that can positively link the number of cases to lead-tainted water but they’re not ruling out their prime suspect either. Around 70 percent of those with skin complaints were diagnosed with eczematous dermatitis; a rash often caused by allergies or irritation. Doctors say the condition is often a result of cold, dry weather combined with stress, all of which have been very common in Flint recently. More than 80-percent of those living in Flint have admitted to changing their bathing habits due to the long-lasting water crisis, researchers said. Lead poisoning attorneys at Cellino & Barnes say they’re regularly speaking with residents in Flint and are offering their legal services to those who have been impacted by the city’s water crisis. If you believe your health has been affected by lead-tainted water, contact an attorney today for a free consultation.